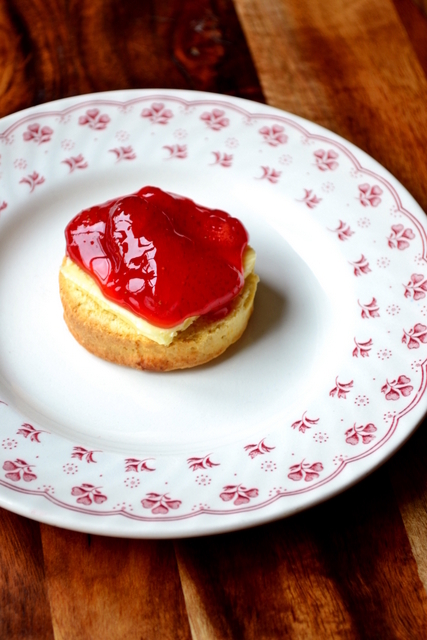 The British tea scene would not be where it is today without Homemade Strawberry Jam. What other condiment would have had the audacity to fill the sandwiches, sponges and scones at the same picnic? And, what’s more, do it up and down the country, over and over again? On top of all that, it’s more frugal and far easier than you might think. Though the British strawberry season proper isn’t quite upon us – we’ll save that excitement for June until August – some green grocers often stock cheap, early season fruit and veg. Two for £1.50, the punnets of ripe, juicy strawberries I picked up were everything one could hope for, particularly so early in the year. Far better than those over-sized rejects we get from Spain in the early months. Cooks often get a little overzealous with the amount of sugar they add to jam. Strawberries are incredibly sweet and adding too much sugar can actually mask the flavour of the fruit and set teeth on edge. Since it isn’t a jam that sets firm and hard – they contain only a small amount of natural pectin – it’s better the lower the amount of sugar and save your teeth and scones. Tea time! 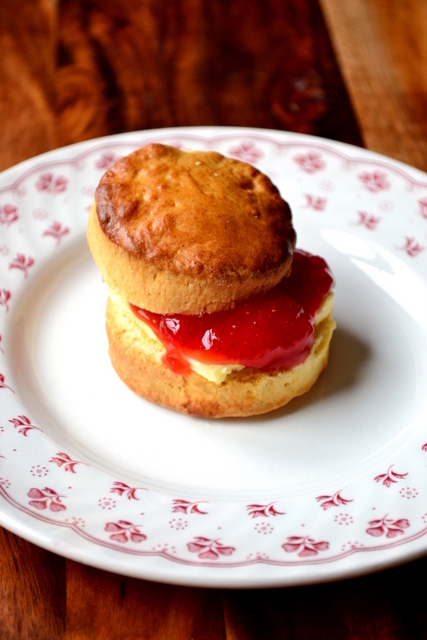 Why not try this jam slathered over some traditional British scones with a dollop of clotted cream? Or perhaps as a filling for a Victoria Sponge? 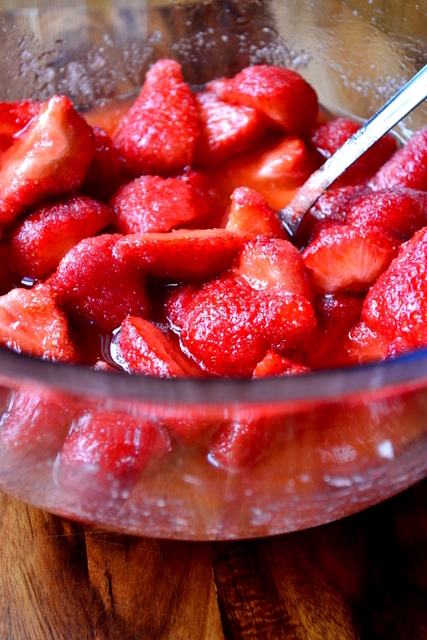 Top and halve the strawberries and tip into a large mixing bowl along with the sugar and lemon juice. Stir, cover and leave for 2 hours. Once the sugar has dissolved tip the contents of the bowl into a large preserving saucepan. Bring the fruit to a swift boil and simmer for 10-15 minutes. Meanwhile, sterilise the jars and lids in the oven or with boiling water and place a side plate in the freezer. After 10 minutes of simmering take a small amount of the jam and place it on one of the chilled plates. Once a minute has passed push the cool jam with your finger. If the surface of the jam wrinkles it’s ready. If not, give it a few minutes more and try again. 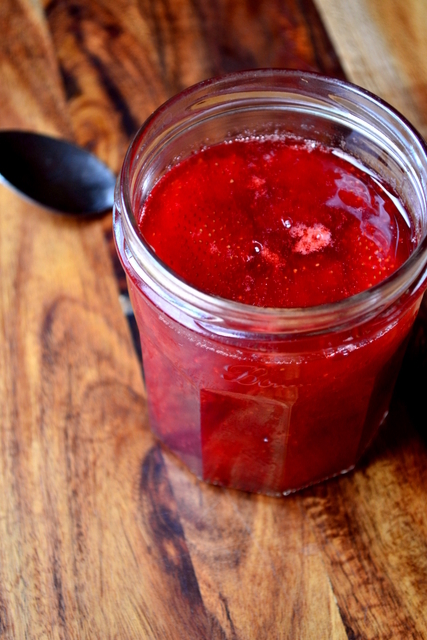 When ready, transfer the jam into two sterilised jars, seal and leave to cool. 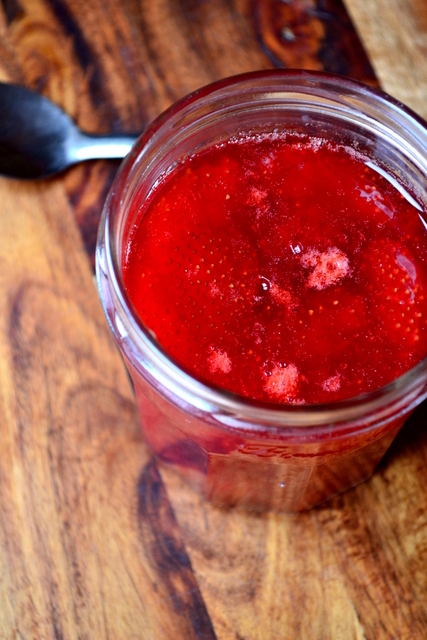 Once open, store the jam in the fridge, where it’ll last for many months. Cost: As mentioned above, two punnets of early-season British strawberries set me back a mere £1.50 – something of a bargain. That price, along with jam sugar, translates to around £2.20 for two jars, or a little over £1 each. That’s far cheaper than any good-quality supermarket offering. Exactly – I loved it :D. We’re running out of jam now though. I hope you like it, Fang.